Consider issues as to why IT projects are at a risk to run late, over budget and not meet the goals. To address these concerns, software and service vendors are creating packaged solutions resulting in smaller, modularized implementations. 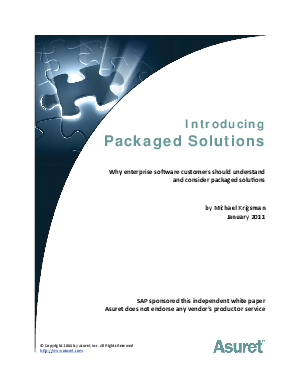 Read how your company can benefit from packaged solutions.